We are so pleased you have dropped in. 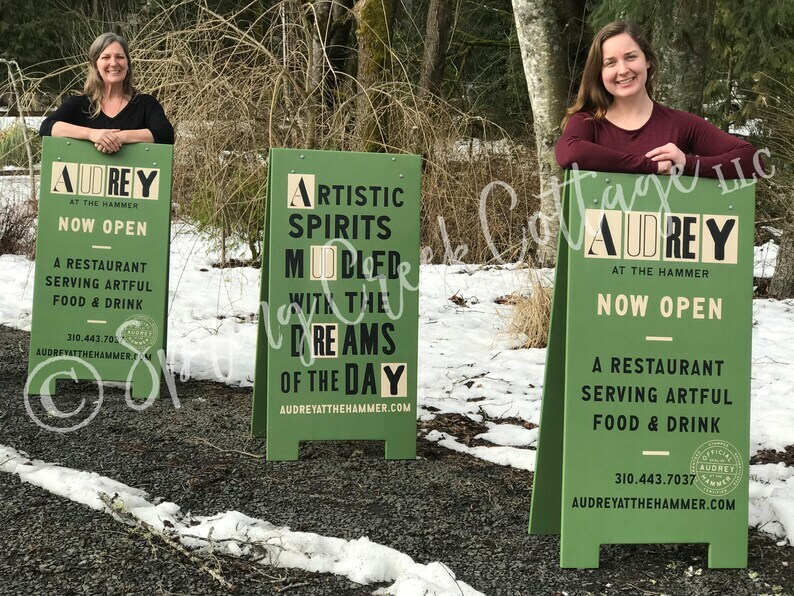 At Spring Creek Cottage we enjoy assisting you in the creation of your ideas, giving you endless possibilities for a truly unique sign tailored to your business needs. We love working with fellow business men and women helping them with their branding! We hope you enjoy your visit, please don't hesitate to reach out to us if you have any questions. 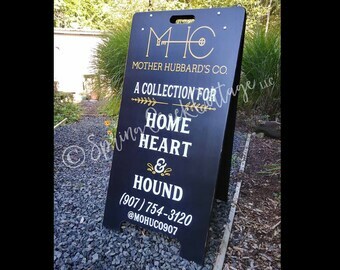 We're often asked if we can hand paint customers' designs on our A-frame signs, and the answer is yes! 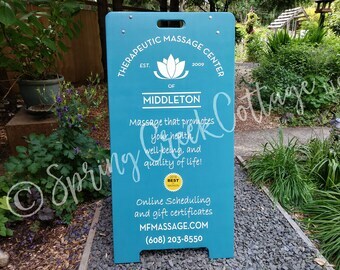 ➽ Each custom sidewalk sign measures approximately 48 inches (or 121.92 centimeters) tall by 24 inches (or 60.96 centimeters) wide. 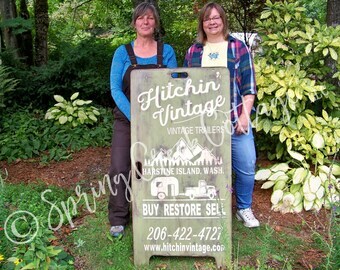 Our wooden sidewalk signs are 100% handmade and hand painted by our family, one at a time, at our cottage in Washington, USA. WE NEVER USE prints, vinyl stickers, or artificial wood products. We use quality exterior paints and finishes. 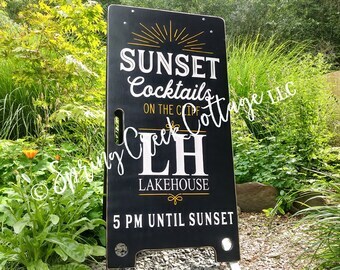 We take great pride in each sign we create so you can have confidence in the workmanship. ➽ Why shop with our family? Turn around time is dependent on your design and complexity of typography. The price of this listing reflects your provided design. Don't have your own design? Please contact us before placing your order to discuss your needs. No design proofs are provided prior to purchase.